Kentwood Real Estate is dedicated to the legacy of being “Colorado’s Premier Real Estate Company” with the highest producing, most knowledgeable, caring and experienced sales team in the country, offering the highest quality customer service experience. We are innovators seeking unparalleled marking and superior Internet technology for our clients. Kentwood Real Estate is the premier real estate brokerage firm servicing Metro Denver. 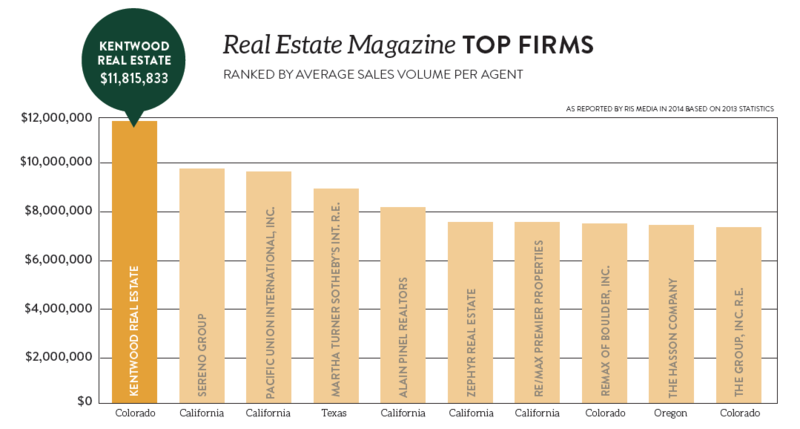 Our agents enjoy the reputation of being the “best of the best” and average nearly $12,000,000 per agent per year in sales production in 2014. We are the largest independently owned firm in metro Denver and the most successful surviving independent of the past decade. Historically, Kentwood Real Estate’s background has been one of bold moves, experienced, visionary people, a solid reputation, and hard work. In 1981 five partners opened a small residential real estate company. Through years of effort and hard work the company has grown to the present multi-office network. It is still locally owned and has always worked for the benefit and satisfaction of its clients. By taking care of its client’s needs, both the company and its individuals have been successful. Kentwood Real Estate carefully selects its agents, who have achieved some of the nation’s highest real estate volumes and have established a reputation as individuals of dedication, integrity, and personalized service. Every Kentwood Real Estate broker associate is full-time and, averages 20 years of experience selling residential real estate. Kentwood Real Estate professionals have also held numerous leadership positions in the industry, communities and neighborhoods, and are active in their local Boards of Realtors. Kentwood Real Estate also has a relentless focus on technology and superior high-profile brand recognition, which are extremely beneficial to Sellers. Leslie’s affiliation with Kentwood Real Estate ensures her clients will have the finest real estate experience when buying or selling a home in Metro Denver.